What Is a Healthy Diet for a 40-Year-Old Woman? At 40, you’ve reached a pivotal point in your health. Although you may feel as active and energetic as ever, the dietary choices you make can have an increasingly significant effect on your risk of chronic disease. Managing your weight, watching your cholesterol levels and protecting the health of your heart and bones take on more importance at this phase in your life. In the years leading up to menopause, eating a balanced, nutritious diet lays the foundation for a healthier future. Even if you exercise regularly, you may find that you can’t eat as much of your favorite snack foods without gaining weight. Your metabolism begins to slow down in your 40s, according to the American Congress of Obstetricians and Gynecologists, or ACOG. If you find yourself slowly gaining weight, you may need to decrease your calorie intake and focus on low-calorie foods, rich in complex carbohydrates and lean protein, such as vegetables, fruits, whole grains, beans, fish and nonfat dairy products. According to the American Heart Association, or AHA, a woman in her 40s should aim for a body mass index, or BMI, less than 25 and a waist circumference less than 35. Preventing heart disease becomes increasingly important after age 40, according to the AHA. 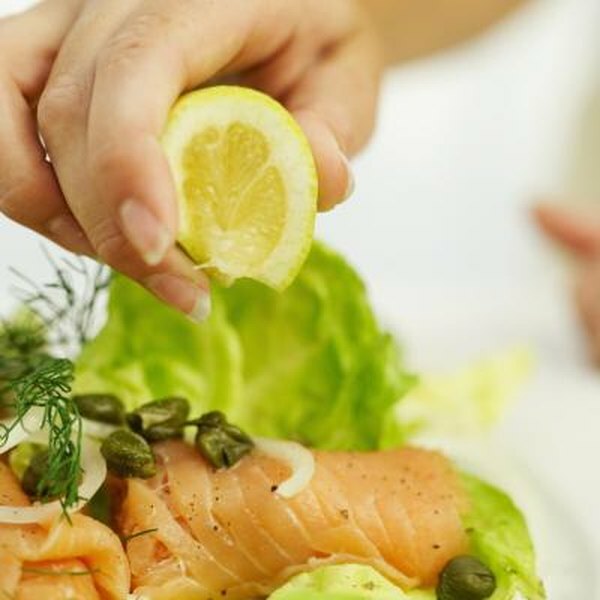 To protect your cardiovascular health, the AHA recommends that you eat at last two servings of fish each week, especially fatty fish such as salmon or herring. These fish are rich in omega-3 fatty acids that help regulate your heart rate and lower triglycerides, according to the AHA. Tofu, walnuts, canola oil and flaxseed oil contain alpha-linolenic acid, an omega-3 fatty acid that may also protect you against heart disease. Eating high-fiber foods, including whole-wheat bread, raw vegetables and fruits, dried beans and seeds, may promote heart health by helping you keep your cholesterol within a healthy range. The AHA recommends that you eat at least 4 1/2 cups of a wide variety of fruits and vegetables and at least three 1-ounce servings of whole grains each day. After age 35, you begin to lose bone material more rapidly than new bone can form, according to ACOG. If you’re not getting enough dietary calcium, you may be at risk for osteoporosis, a degenerative bone disorder that leaves your bones porous and frail. To meet your recommended dietary allowance of 1,000 milligrams of calcium each day, add low-fat sources of calcium to your diet, such as nonfat milk products, dark green vegetables, tofu, canned fish with softened bones and calcium-enriched orange juice. Vitamin D, a nutrient that your skin synthesizes in sunlight, helps your body absorb calcium. Fish, shrimp, fortified milk and eggs provide dietary vitamin D.
Although you may have 10 or more years to go until you reach menopause, the hormonal changes and symptoms of perimenopause may begin in your 40s. The essential fatty acids found in fish and flaxseed oil may protect your health through the hormonal changes of perimenopause, HelpGuide reports. Tofu and other soy bean products contain phytoestrogens, plant-based compounds that behave like estrogen in your body. Eating these foods may relieve perimenopausal symptoms.